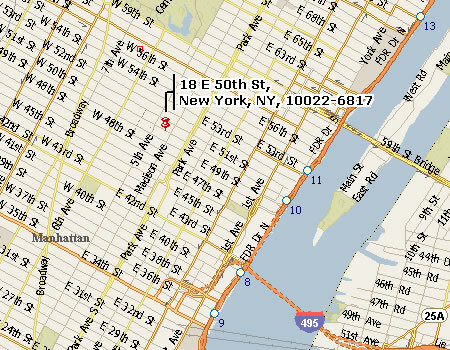 The maps below will provide you with driving and subway directions to our facilities. Simply click on the map for an interactive map, and provide your starting and ending address for detailed driving instructions. Print out this page and the driving instructions and bring them with you! Stuart L. Daitch, D.M.D., P.C. Click on the map below to get detailed directions via the subway. Copyright © 2003-07 Stuart L. Daitch, D.M.D, PC and MedNet Technologies, Inc. All Rights Reserved. This site is optimized for a display setting of 800 by 600 pixels, or greater.